When the Obesity Medicine Association rebranded in 2015, a big part of the brand roll-out was a new website. Not just a re-skin, but a completely new site. On the front end, we created a user experience that is rooted in simplicity and on brand. In the back end, we developed with client content creation and implementation in mind. We took an approach with WordPress and layout to make the new website non-technical and friendly to users so that OMA staff could easily manage and maintain. The American Society of Bariatric Physicians (ASBP) partnered with David James Group (DJG) to execute a full rebrand that included a name change for the association and all supporting branding campaign elements. The highlight for the campaign was a fresh new website to unveil the spectacular new brand. ASBP chose Obesity Medicine Association (OMA) as the association's new name to better represent the services the brand provides and the type of medical professionals that encompassed its membership. The new name was also a nod to the progress the industry was making - the American Medical Association had recently classified obesity as a disease. Having "obesity" featured prominently in the association's name was a move to modernize the organization. DJG wanted to reflect this with the new website design. We took an approach with WordPress and layout to make the new website non-technical and friendly to users so that headquarters staff could easily manage and maintain. DJG created a brand that reflected the science-based, progressive organization that the Obesity Medicine Association is at its core. Those brand elements are reflected throughout the new website, from brand colors to graphics to messaging. The homepage of the website prominently displays a feature scroll that allows the association to promote its latest events and conferences, webinars, educational courses and other important information. Copy and messaging throughout the website are clean with a natural flow ensuring easy navigation and access to member benefits, clinician resources, conference information, CME events and webinars, and more. The website also has a member and academy login feature for further access to custom content, as well as a responsive design for flawless viewing no matter what device a viewer happens to be on. 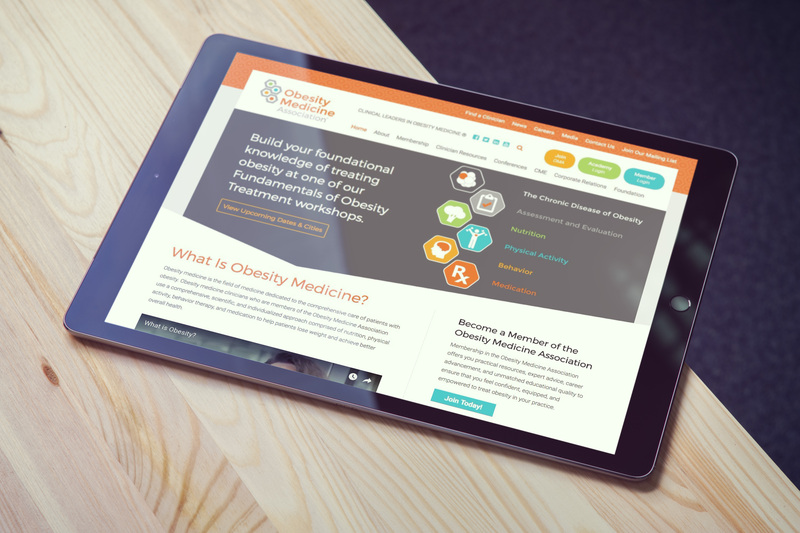 The Obesity Medicine Association website was developed in just four weeks and pushed live the night of the brand unveiling at the association's annual conference. 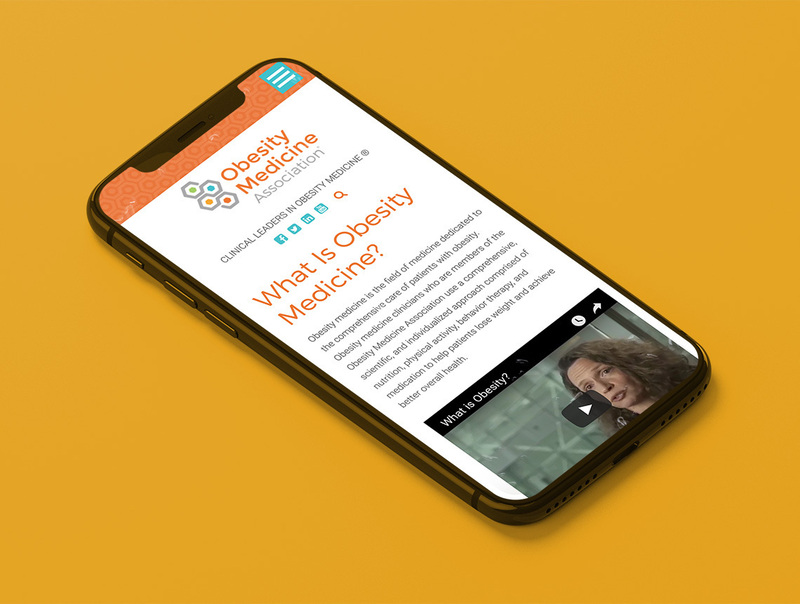 The new website is a pillar of the association rebrand, giving OMA a progressive and modernized look while communicating exactly what the association stands for - clinical leaders in obesity medicine. Visit the website here. Email us or use our live chat feature below to learn about how you can cause a stir with a new website.